For the modern setting, where the universe is a great deal bigger, and things like individual ownership and control of massive organizations happen, a number of backgrounds need to be extended a bit. While ratings are still limited during character generation, it’s entirely possible for a character to become the ruler of several planets, or be worshiped by far more people than ever lived in the flat Creation of old. Resources represent more than a sum of money. Resources represents both an ongoing income, the ability to handle money wisely – saving and investing – and the ability to come up with stuff that mere money won’t handle directly. Having a pile of jade, or gold, or whatever you’re setting is using for money bigger than a mountain won’t get you into touch with the legendary mercenary Exalted Assassin (I’d say what kind of Exalt, but then he’d have to kill me) Withering Hand Of Entropy (unless maybe it’s as a target) – but Resources-5 will. 00) Desperately Struggling. A few thousand a year. 01) Lower Class. Ten or twenty thousand a year. 03) A Million a year. 04) Ten Million a year. 05) A Hundred Million a year. 06) A Billion a year. 07) A Hundred Billion a year. 08) A few Trillion a year. The income of the US Government. 09) The yearly Gross Domestic Product of the US. 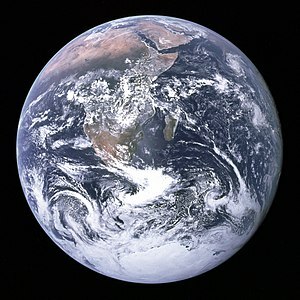 10) The yearly Gross Domestic Produce of the Earth. Cheap groceries for a week is a resources-0 purchase. Thus most characters with no resources are living day to day, which takes such purchases down to the “negligible” level – presuming nothing goes wrong. A new high-definition TV set is a few hundred dollars – a resources-1 purchase. An almost-new car is around ten thousand dollars – a resources-2 purchase. A good sized house is several hundred thousand – a resources-3 purchase. The most absurdly expensive cars cost about two million – a resources-4 purchase. A jet fighter costs about twenty million dollars – a resources-5 purchase. A battleship costs about a hundred million – a resources-6 purchase. A Nimitz-class Aircraft Carrier costs about 4.5 Billion – a resources-7 purchase. A private Apollo Program costs about 150 billion inflation-adjusted dollars – a resources-8 purchase (in reality it was spread over years as a succession of resources-7 purchases). A private World War II – or at least the American side of it – cost between three and five trillion inflation-adjusted dollars, and so was a Resources-9 purchase. The original had to be paid for over many years, since the US Government is only a Resources-8 organization. Rebuilding Human Civilization after a global cataclysm would be a Resources-10 purchase – if there was anyone left who could pay for it and anyone to buy it from. Maybe you can make a deal with the Raksha, and mortgage the earth for a few decades. If you want single, unique, large-scale items, what you want is the Artifact background. Thus, if you just have to have your own F16 Jet Fighter, it would be a Resources-5 purchase. Buying it as an Artifact, it’s Artifact-3 (two dots lower than the resource cost) – and it’s status as an Artifact does offer it a couple of benefits; it’s presumed to be enchanted enough that it’s various systems can be powered by Essence as well as by conventional fuel and munitions. A few committed motes will give it an indefinite range (as well as free up fuel space for cargo) and depleted weapons systems can be reloaded by spending a few motes. If you want a fabulous palace or other structure, a few dots in the Manse background will do it. After all, if the place doesn’t produce a hearthstone, there’s no reason why you can’t describe it as simply being blessed by the local spirits, supported by a trust fund, or provided with special equipment to account for whatever minor powers (conveniences, a small staff, etc) that do come with it – and if it doesn’t produce a hearthstone (and you can reduce the mote regeneration that it would normally supply as well), there’s no reason for anyone more powerful than you to want the thing. For example, a two-dot palace or mighty manor – perhaps Elansholme, or Grantley Manor – has… 4 Creation Points (Base) +2 (Sacrificed Hearthstone Levels) +1 (Two sacrificed mote regeneration levels) +2 (Maintenance) +2 (Fragility 1) = 11 Creation Points. Since it really has no significant magical powers, you can probably talk the game master into building it without a demesne. What does it really need one for? Spend these points on… Comfort Zone (1, and probably arranged by clever architecture rather than magic), three incidences of Conveniences (3) and a set of Greater Conveniences (2, probably including a security system), Servitor Force (2, note that these are not BOUND Servitors; they’re simply reasonably loyal employees. Ergo, the cost is reduced to two points), Hidden Passages (2), and – since there’s one point left – some Minor Tricks and Traps (1), representing decent locks, some hidden compartments and wall-safes for valuables, and so on. That suffices for a palace better than any historical one, and certainly as good as any modern corporate headquarters/showplace – and one that’s really of no interest to any major power of the setting. Fabulous palaces are cheap. What did you expect? This IS Exalted after all.